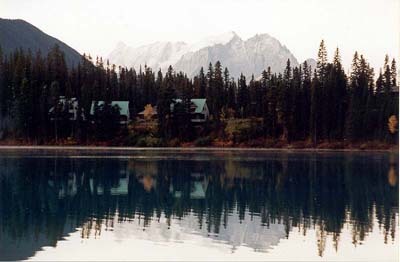 October 2001: Emerald Lake Lodge is built along the shore of the lake. Behind the lodge, Mount Vaux, 3319 m, is 24 km south of Emerald Lake. Mount Hurd, 2993 m and 20 km away, is the nearer and lower peak.